Posted byJames 21 Aug 2016 21 Aug 2016 Leave a comment on Missed a Spot! I inherited a shiny little Ricoh 35-ZF some time ago and put a couple of rolls through it back during my photowalk days in 2011 or 2012 (and started another that took me 2+ years to finish). While I liked it well enough, it did have two annoying little issues. Don’t get me wrong, light leaks are stylish and all, but a permanent one, in the same spot on every frame, with the only variation dependent on how much light strikes the back of the camera for a particular frame is a bit annoying. So the Ricoh spent most of its time sitting on the shelf. When I acquired the FE and discovered its virtually-nonexistent seals, I tried to order one from Interslice, but he was taking a break and no other vendors had one, so the Ricoh just sat. About a month ago, I had a brainstorm. I loaded a roll of Delta 100 in it and taped the back shut. 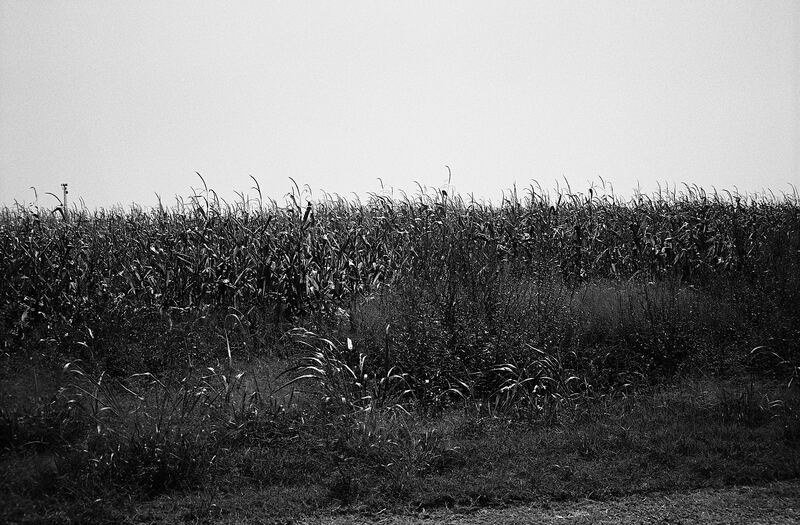 On the way home from shooting the hay that I thought was corn—too much time in central Illinois, I guess—I stopped into a Michael’s and found a sheet of black, adhesive-backed felt… Once I got the Delta 100 out and developed, I set about cleaning the old, dry, brittle, but somehow still-gummy seals out. I felt a bit nervous about it, and had other things I’d rather do (like stare blankly at the tele and/or other worthwhile activities), so the felt sat next to the Ricoh for a couple of weeks while I gathered my strength. So I opened up the back and had a close look. A channel runs around the back and matches up with the seal that runs around the edge of the door. I replaced the seal on the door, but didn’t notice a bit of residue from a long-gone seal in a little grove on the back where you load the film canister. 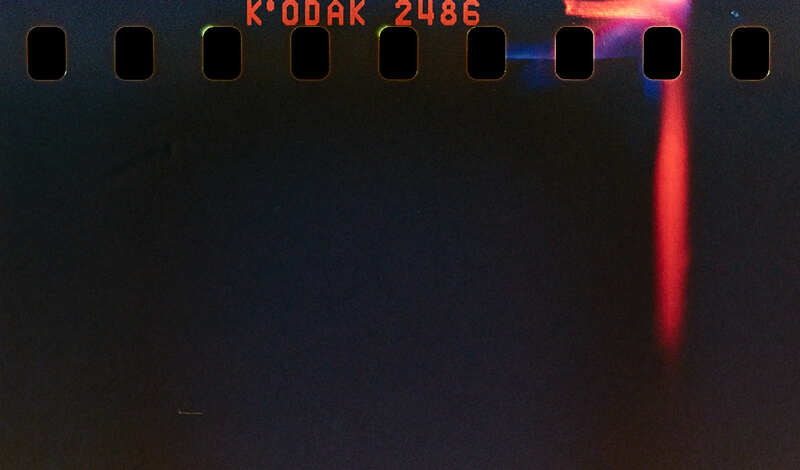 I took a strip of film and matched it to the sprockets and the film plane frame thing, and the light leak line running along the edge of the film matches the opening on the back, while the line running vertically matches the edge of the cylinder that holds the film canister in place. The rest of the roll was shot on a heavily overcast day, and rather quickly, so I’m not sure if I fixed it or not, but I’m hopeful. 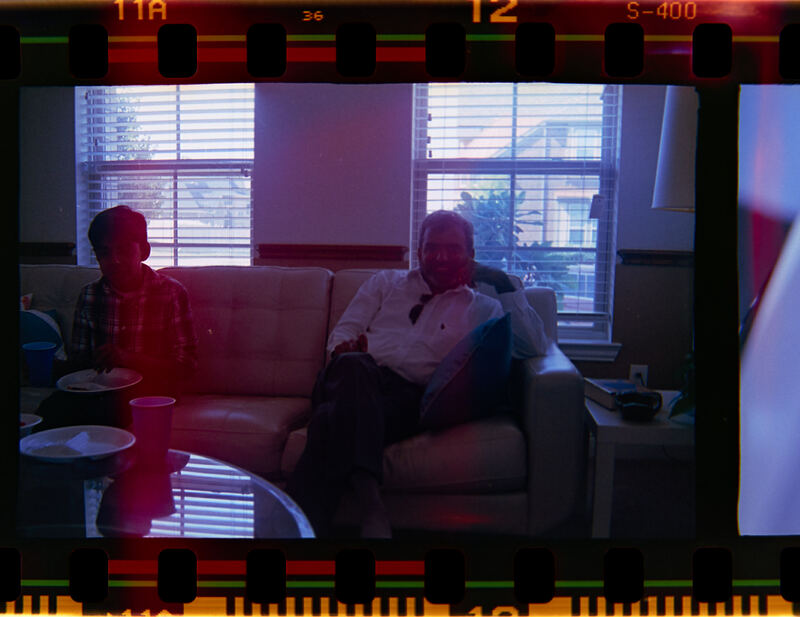 And since I made an error scanning the film with my new scanning setup (more about that later, maybe), I went ahead and scanned frames 0 and 1. The little light spot just to the left of the 5th sprocket from the left on the bottom row is not repeated in the rest of the roll, so I think it’s there from the manufacturing or something. That said, I did shoot the roll on a mostly overcast day when the leak would be unlikely to show up anyway, so I’ve loaded up a nice roll of probably-expired Kodak Gold 200 that came courtesy of Labeauratoire, and InshaAllah I’ll shoot through it slowly, maybe on some lunch break walks or something, and leave the camera to sit in the sun for a few days, and hopefully find that the new seals worked. 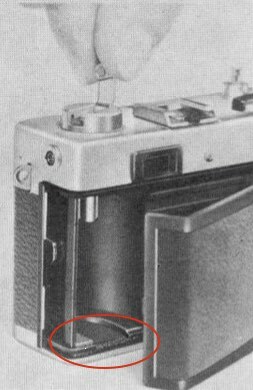 So if you find an old 35mm camera that needs new light seals, don’t be afraid: some rubbing alcohol, q-tips, toothpicks, and maybe a pen knife or some dental picks will take care of the old seals, and an x-acto knife, straight edge and some self-adhesive felt will make nice new seal. Just be sure you replace all the seals. *I finally took the strap lugs off after confirming that the new light seal sealed properly, and Alhamdulillah, the only noise the 35 ZF makes now is the pleasant clackety clunk of the shutter.